In 2010, TFA launched a major expansion effort, funded in part by a five-year Investing in Innovation (i3) scale-up grant of $50 million from the U.S. Department of Education. By the 2012 -- 2013 school year -- the second year of the scale-up -- TFA had expanded its placements of first- and second-year corps members by 25 percent. 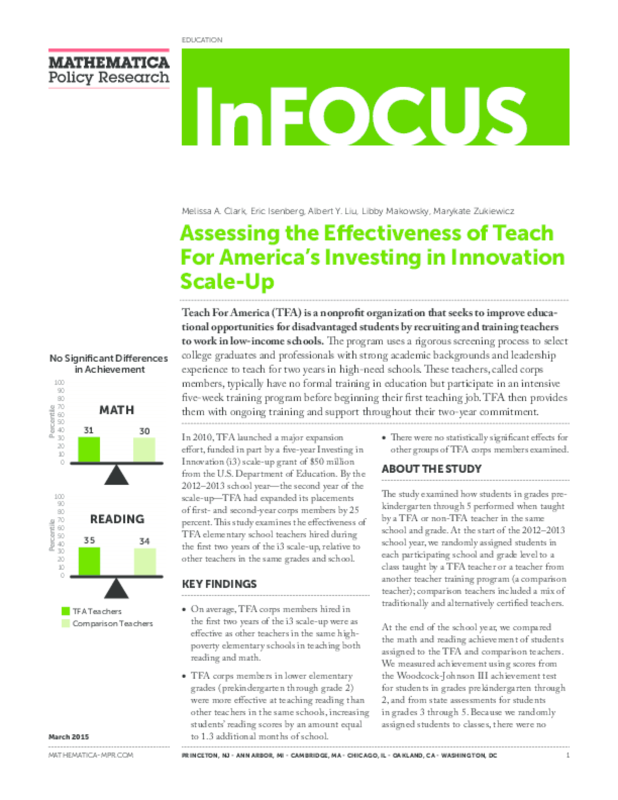 This study examines the effectiveness of TFA elementary school teachers hired during the first two years of the i3 scale-up, relative to other teachers in the same grades and school. Copyright 2015 Mathematica Policy Research, Inc..